Oh, its been a while. I try to post these at the beginning of each month, but the weather has been lovely (usually) and spending time in the fresh air has been more of a priority for me. At any rate, here are a few things I’m loving. 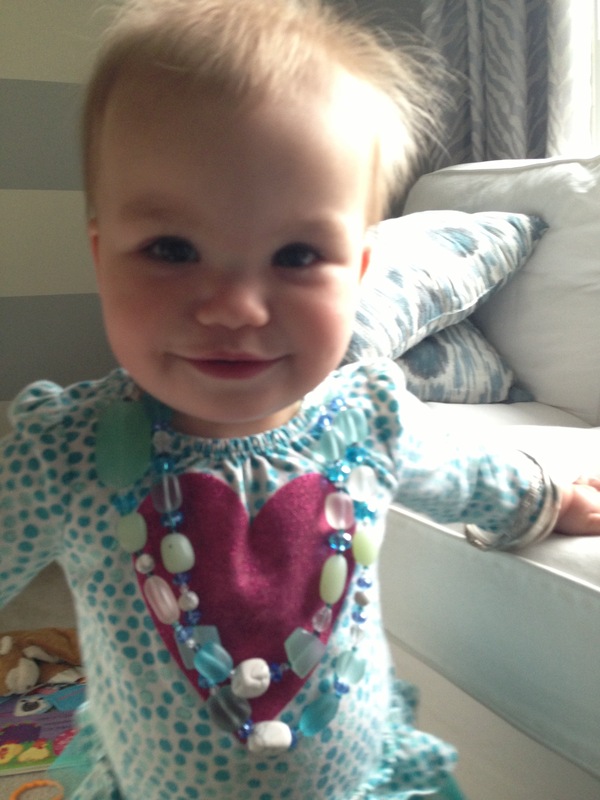 Sweet O trying on some of my jewelry creations (btw- I’m almost finished reorganizing my etsy shop!). She really is my kid. Bling, bling. I bet you are wondering what in the world I took a picture of here. I took this picture while visiting my sister… this is what happens when you take down chair rails. 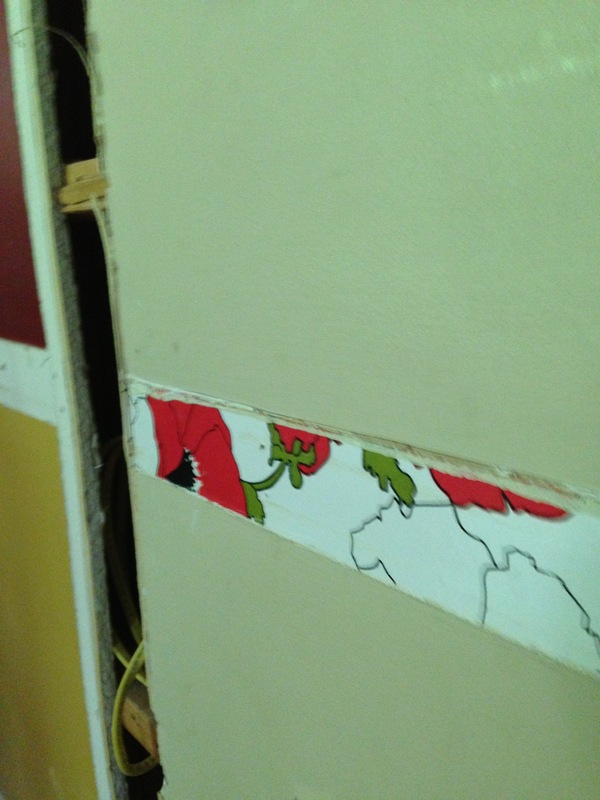 You may just run into some awesome vintage wallpaper. I’m just loving the poppies and the entire 60’s vibe. My good friend Kara arrived for an impromptu pizza night with a bottle of wine in hand. One of the many reasons Kara and I are friends is that be both know how refreshing a glass of wine can be. Another reason: her humor. She bought this wine just because the name and label were awesome. And the wine was pretty good too! The view from the end table. I laid my phone down and accidentally hit the camera slide. 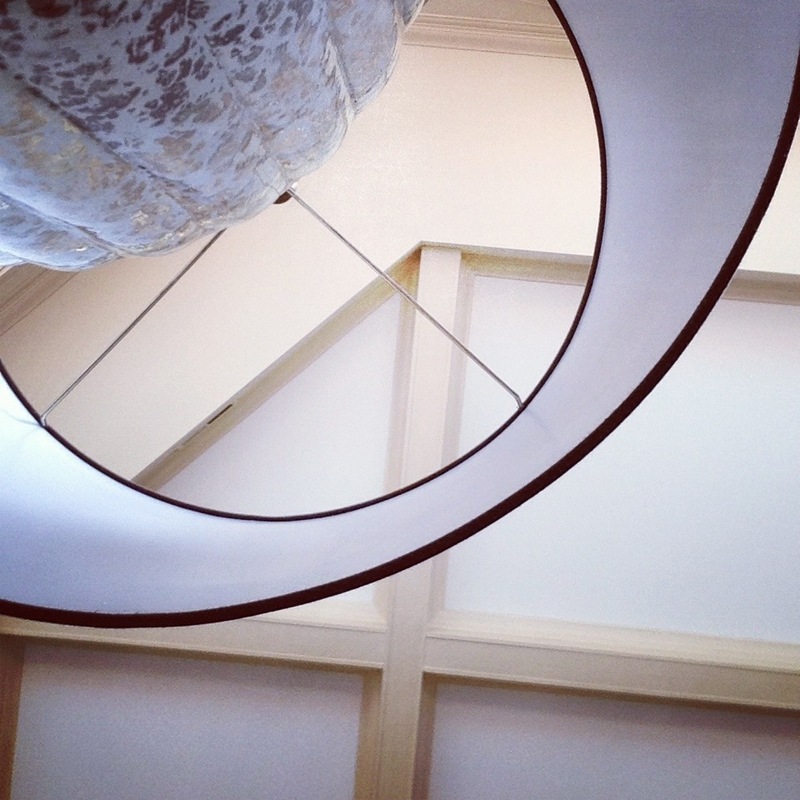 The camera was set on the front camera because I had just tried to take a selfie with O (we send them to Hubby daily)… and this was what I saw: view from the end table, through the lamp to the ceiling. I snapped a pic because I loved how unique it was. Geometry and composition are two of my favorite things… Art really is everywhere. 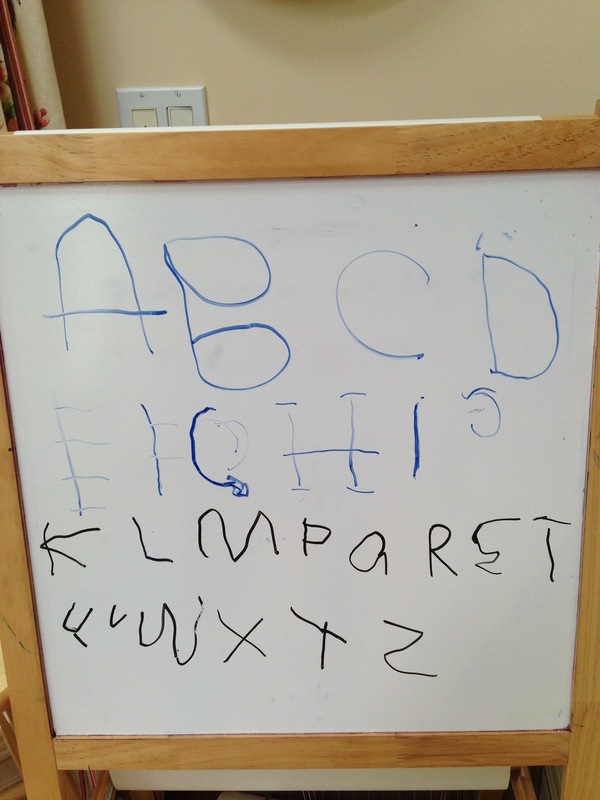 Z practiced his alphabet on the dry erase board. Notice the detail on his “H”… I think he may have a love for typography. 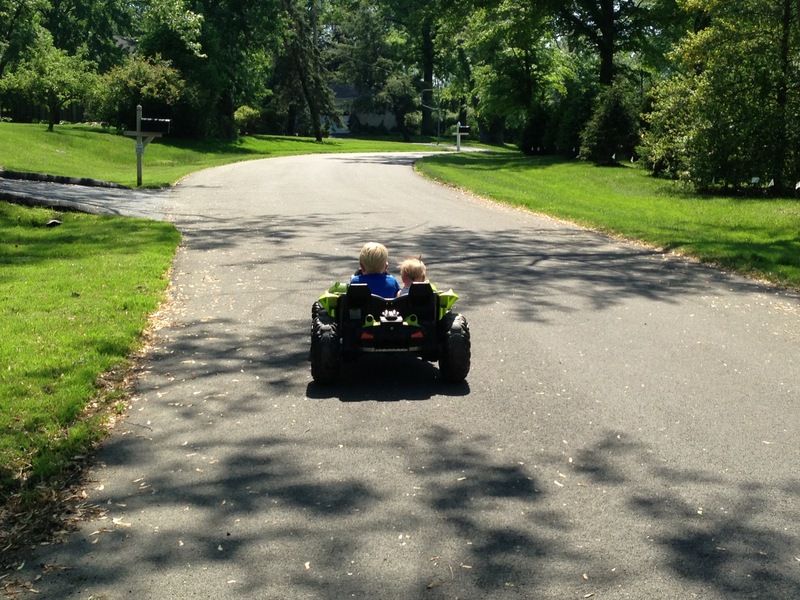 I let Z drive O in his Powerwheels Dune Racer. He promised to go slow and stop if she cried. O laughed the whole way. I love them! 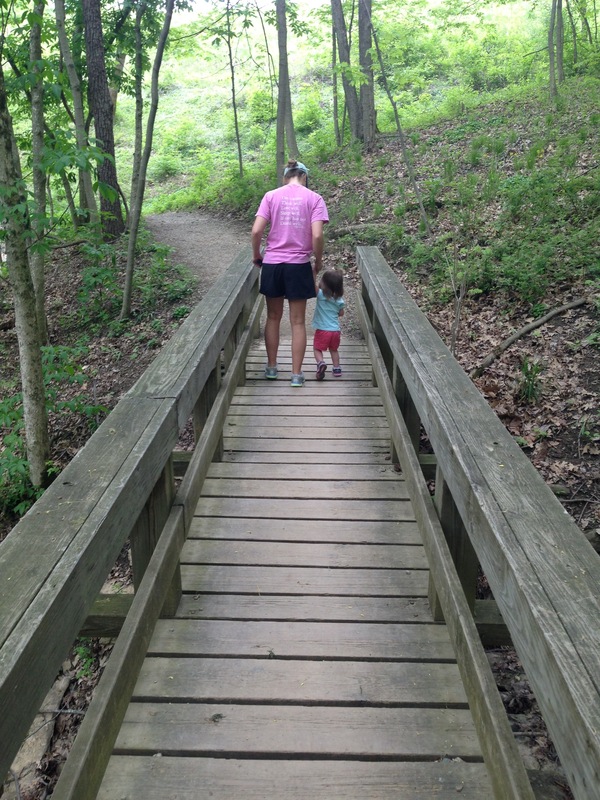 Out for a hike at the Cincinnati Nature Center (which I highly recommend) with my sister and her little charge. I snapped this one on a trail on our way back to the lake. Stinking cute. I might be a bit spoiled… this is my favorite way to watch a Reds game. We ocassionally sit in the Cincinnati Bell suite. Its right above the warning track in outfield with indoor and outdoor decks. Not a bad way to enjoy a game if you ask me. This was during batting practice. I love all those red seats and uniforms. The other night I was putting away laundry and had put aside a few things to hang up. I looked down and realized that every one of them was striped in some way. 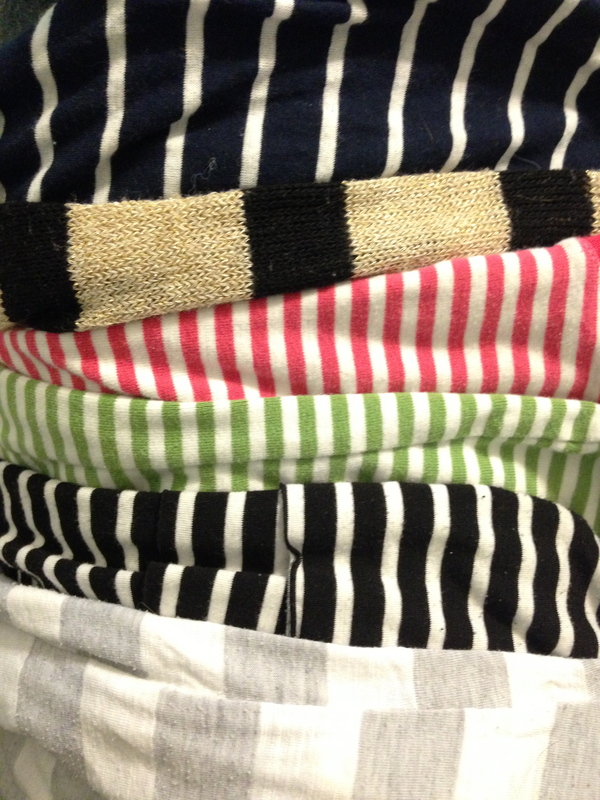 I think I’m addicted to stripes. Just a little? 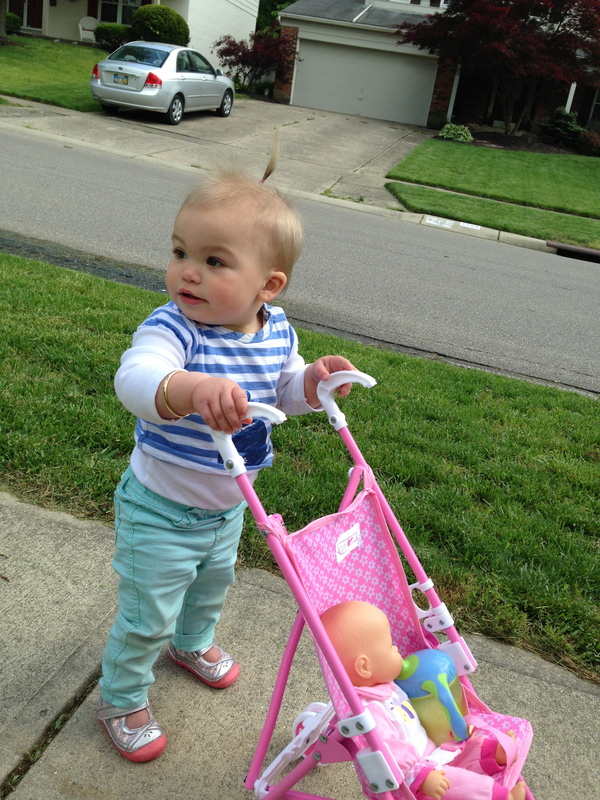 With the nice afternoons lately, O has been walking her baby doll around the neighborhood in the stroller. She’d do it all day long if she could. Notice that she’s finally big enough to wear her bangle bracelet she go for Christmas. Starting her young! I wore a similar one until it had to be broken off of me at five years old. I refused to take it off. 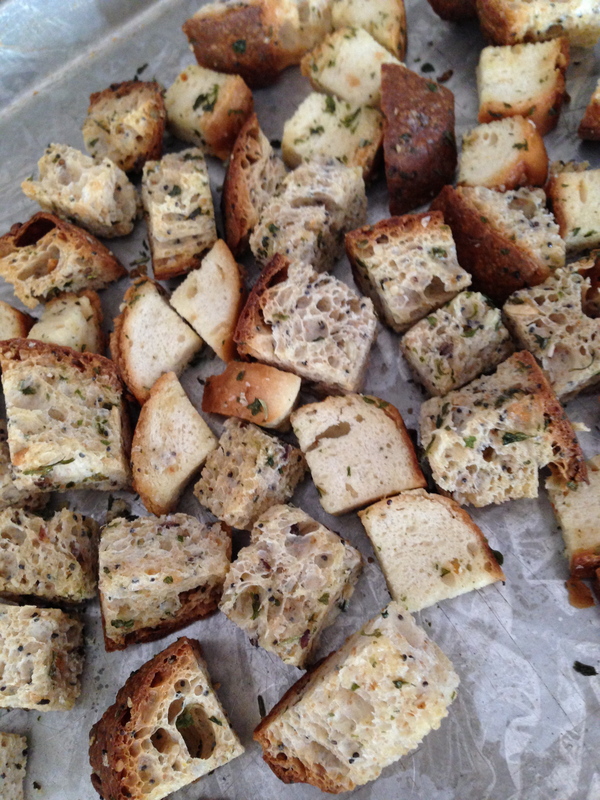 Left over Blue Oven Bakery bread that my mom made into delicious homemade croutons. This stuff is just too good to go to waste! What are you loving lately? I guess breakfast is over today. I can’t decide what’s more adorable...The giggles from Liv or Genevieve’s little snores. Gigi is 14lbs, 26.75” long and hanging at 6th percentile for growth. She spit up all over me, shredded the exam table paper but she’s growing and healthy!